This Rubicon Express kit is the latest and greatest upgrade for the ZJ. 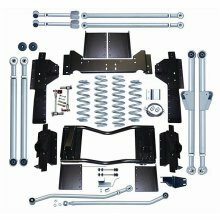 Now you can have all the benefits of our other Long Arm kits with your Grand Cherokee. 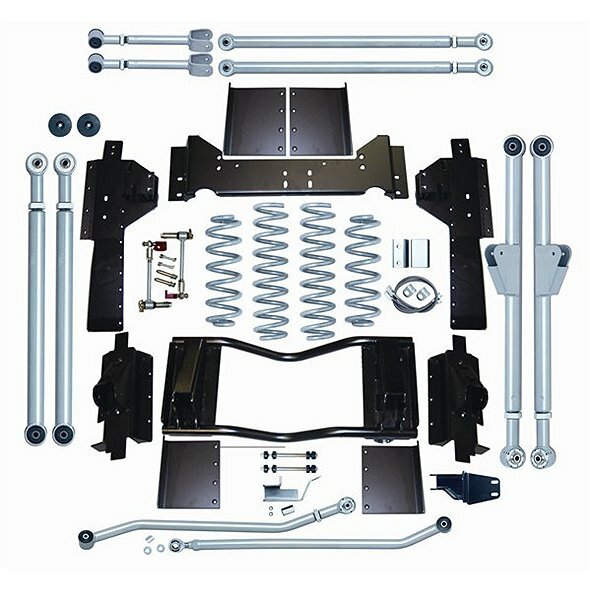 Innovative sub-frame cross-members allow mounting points for the longer front radius arms and rear extended upper and lower control arms. Overall handling is greatly increased as well as reduced axle steer, torque roll and jacking.